Recover Photos and Videos from Formatted USB Flash Drive & Pen Drive | lets discuss: storage media & recovery! If you are looking forward to recovering photos from formatted USB, pen drive or any other portable storage media, then you are at a right place. At times, we suddenly lose the entire volume of data from the USB drives, and there are several reasons behind this. Especially, when it comes to images and other media files, the situation tends to be more critical. It may occur when you attempt to upgrade the file system from FAT to NTFS. Also, many users may face data loss when they accidentally format the device or USB stick while working with it. 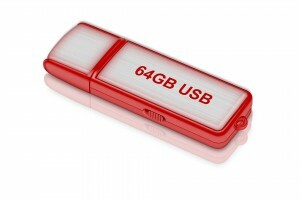 Pen drives are portable and hence used frequently to transfer data from one device to another. When a drive is formatted, the data that exists prior to formatting still exists on the device until it is overwritten by another data. This is why experts suggest leaving the device alone when it is formatted mistakenly. The less you interrupt or use the USB device, more are the possibilities to recover data from it. What to Do Next to Recover Photos and Videos from Formatted USB Flash Drive & Pen Drive? Connect Device to Another Port on System: If you notice that the USB stick is not displaying the incorporated data, try connecting the drive to another USB port on the system. There are chances that the data might appear; if not, you can try the next method. Try Connecting to Another Computer: In such situations, before getting around the recovery tools, try connecting the drive to another system. It could be a laptop or a PC. If the drive appears in the system, possibilities are that the issue may exist with the USB port on the previous machine. Employ Professional Recovery Solution: If the above mentioned preliminary methods don’t seem to be working, then you can try resolving the issue by applying a third-party recovery application. But, before investing in recovery solutions, there are some points that you must know to get it right! What to Look for in Professional Photo Recovery Software? Since photos are the most important component of data for most of us, it is important to employ a solution that possesses the capability to understand sensitivity of photo files. Considering all the above important information regarding selecting a desired photo recovery tool, Stellar Photo Recovery Software can be considered as an efficient and reliable solution to employ. I am getting the error “The new file system is FAT” on trying to format the USB drive. What to do now? Try to go to start > Computer > Right click > Manage > Disk management option. Also if you cannot format through menu options, try formatting it through command prompt.